Gerrymandering is the insidious way in which political parties draw absurd legislative districts to their own advantage. Gerrymandering distorts our democracy by allowing for politicians to choose their voters, instead of voters choosing their political leaders. 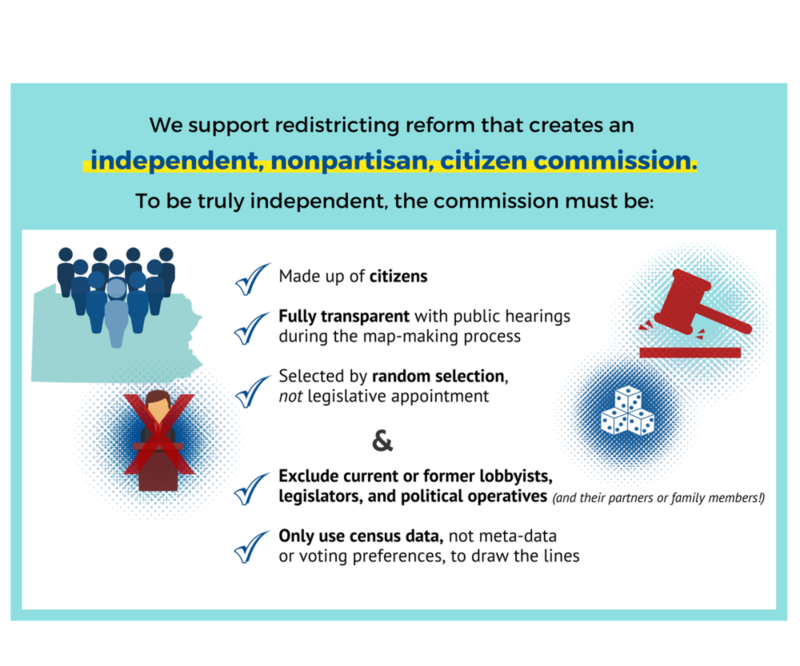 An Independent Redistricting Commission would be comprised of 11 people, made up of Republican, Democrat and Independent citizens, that would draw districts using only census data, not voting or news preferences.